The Wabash is Indiana’s river. Its story of beauty and inspiration, of exploration and discovery, is the story of how we became who we are, both as a state…and as a nation. 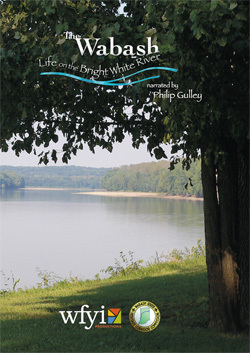 That spirit of exploration and discovery lives on in The Wabash: Life on the Bright White River, a 500 mile, 19 county adventure, from the Ohio border to the Ohio River, to examine the delicate balance that exists between the people who live on the banks of the Wabash, and the Wabash River itself.